Archives for July 2017 | Accounting Questions, Tax Tips, Personal Finance Topics and More! Accounting Questions, Tax Tips, Personal Finance Topics and More! Business or personal finance questions? Our accounting, tax and bookkeeping professionals discuss accounting software, IRS issues, small business payroll and many other topics. 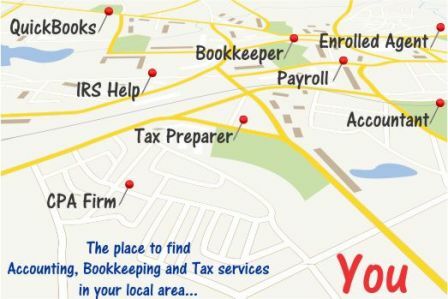 Find a Tax Preparer, Accountant, Bookkeeper, QuickBooks Consultant, Payroll Service, Enrolled Agent or CPA - Just click below!